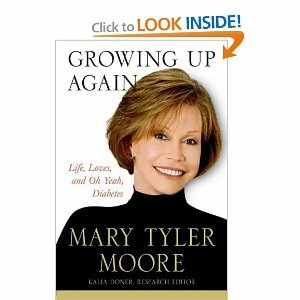 Only Mary Tyler Moore could make diabetes funny. In her book, Growing Up Again: Life, Loves, and Oh Yeah, Diabetes she retells 40 years of living with Type I diabetes in a humorous and inspiring manner. The second part of the book explains many aspects of Type I diabetes.